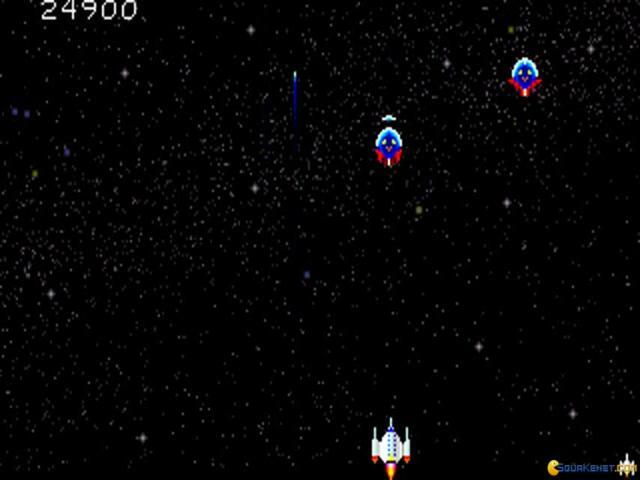 It's not hard to see whom this game is referencing: It's got Galaxian written all over it, but, to its credit, the game doesn't just aim to recreate that experience, instead it aims to amend it, to explore it further and to see what other ideas can be executed on that particular frame of mind. 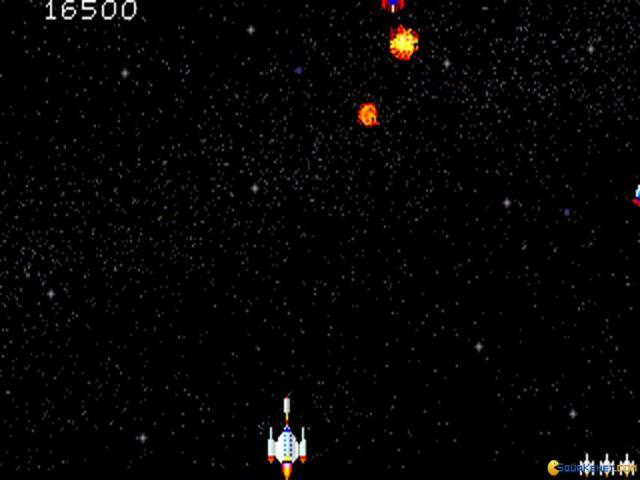 Thus, Galacta - The Battle for Saturn, is a diverse game, a game that allows you to get a lot of fun, through the simple yet satisfying means of vertical space shooting; you control a ship that has to avoid projectiles, shoot down as many objects as possible and, generally, make sure to pick up all of the (desirable) upgrades. 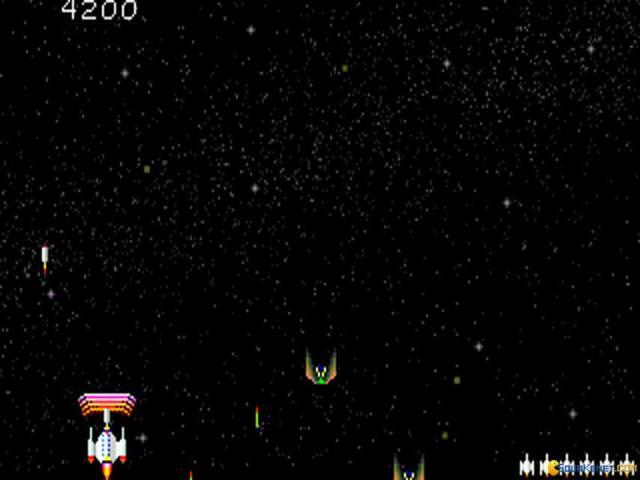 The game looks like a modern take on Galaxian, which is to say that while still 2D and pretty black infused, throughout, there are also visible upgrades to that oldschool era of gaming. Surely, it doesn't go full tilt kitsch, with loads of colors that will just mess with you, nope, it's pretty contained a game, but not a bad one, all things considered. So, yeah, go and take a look and see what it is all about. 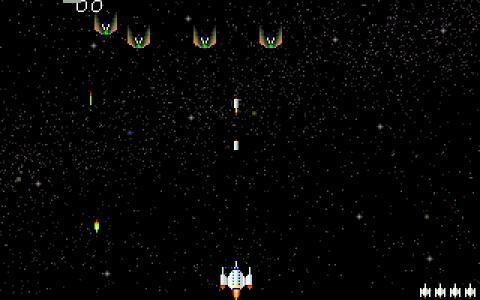 For vertical shooter fans, and for general purpose arcade lovers, it's a treat. 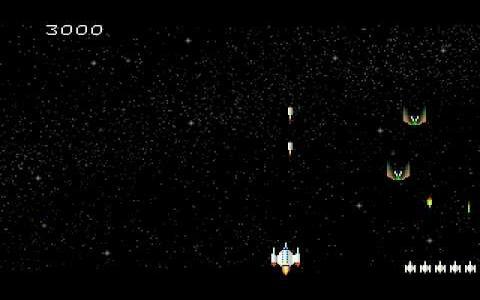 2D vertical arcade shooter, worth a shot! 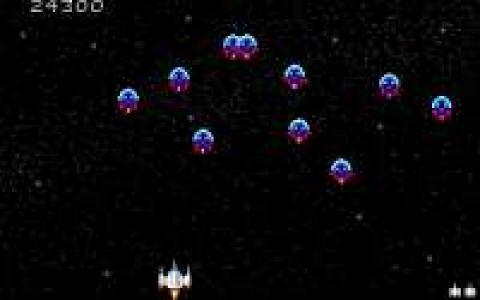 Space Invaders invented the genre, Cheesy Invaders spoofed it and Galacta was just another game to try its hand at the recipe! 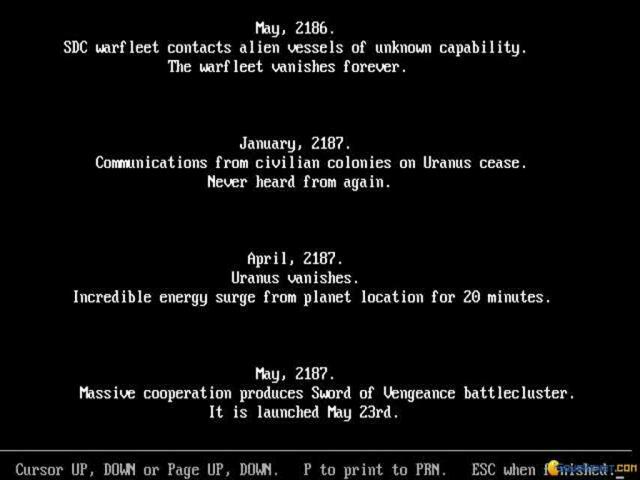 Did it manage to bring in something at least a little original? Nope, I'm afraid not! But then again, what do we care if a game is original or not? It never said it would be, so the question should be, is it any fun? Well, in that respect, yes, Galacta holds its water. 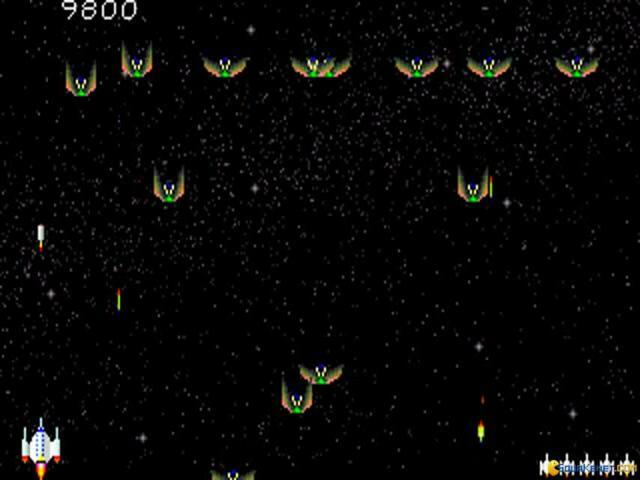 It gives you the basic enemies, the bosses and the swarms of enemies that require a certain type of combination of fire and movement to be eradicated (while you're safe from their firing patterns). 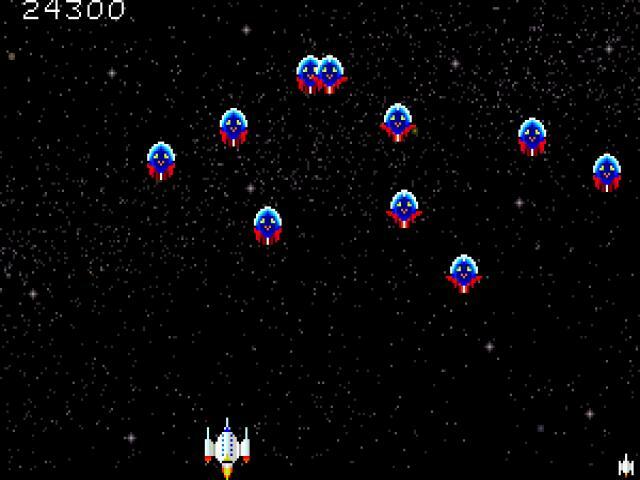 Also, the game throws a number of power ups at you, power ups that improve your firepower in classic ways, by doubling your rate of fire, by doubling the number of weapons you have, by improving your speed of evasion and a few more. Manage to get shattered while carrying addons and you repeat the level, but without them. 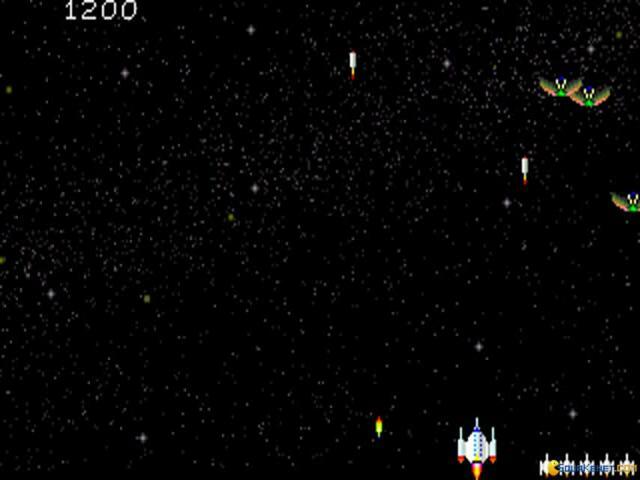 And that can be quite a bummer, especially during later levels when the action is hotter and the enemies more vicious. 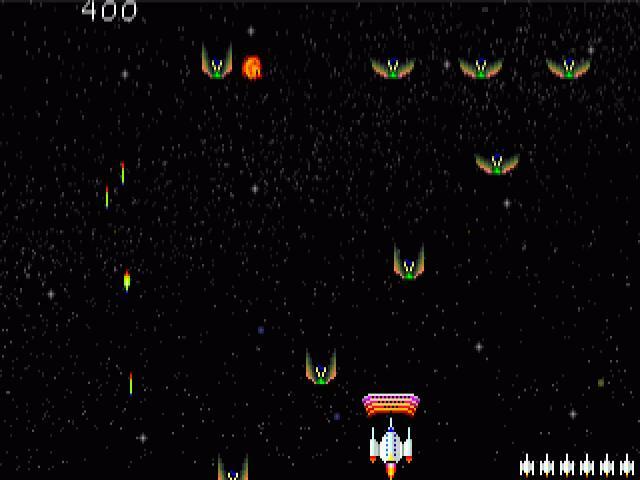 So, all things considered, Galacta is just another vertical shooter, but an okay one. 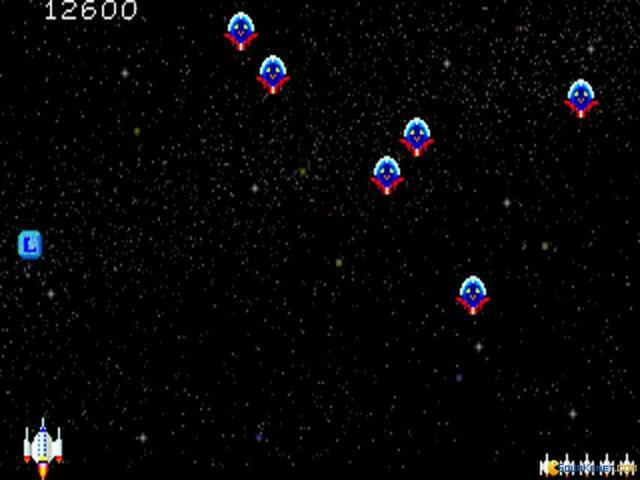 Try it out, see if it clicks with or and if not, maybe the more colorful and diverse Raiden vertical shooter will hold the key to your heart. 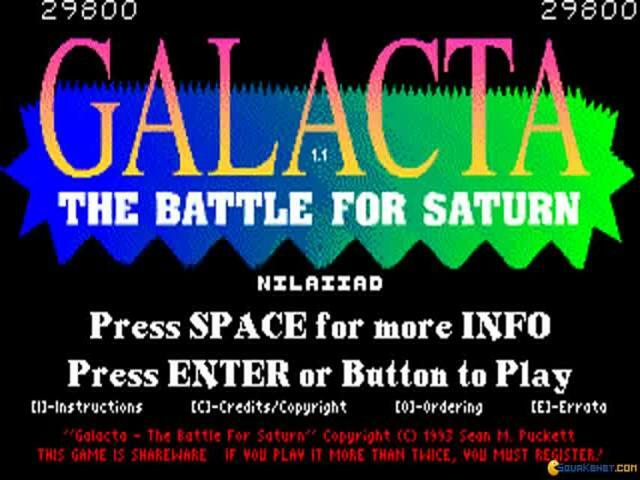 Galacta - The Battle for Saturn is a vertical space shooter brought to us by Sean Puckett. 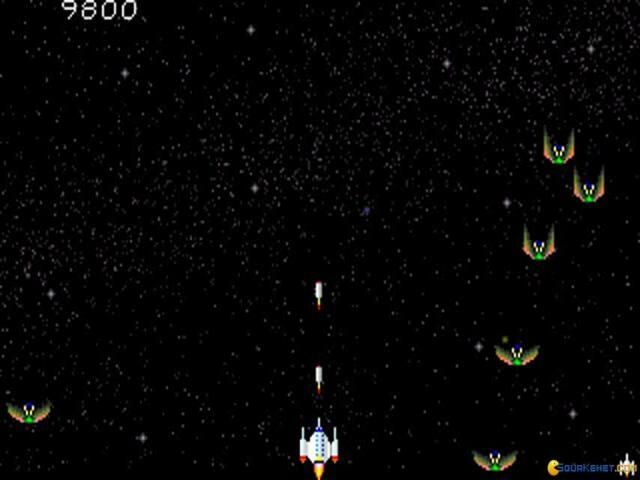 Not to be confused with the Marvel character with the same name, the game while being considered decent, is not on par as many of the other games in the same genre, like with Invasion of the Mutant Space Bats of Doom.